We are actively engaged in offering Industrial Injection Molding Machine to the clients. Our offered machine is developed with supreme grade raw materials and latest technology in compliance with set industry standards and to ensure its high quality and durability. Moreover, it is extensively used in various molding applications. 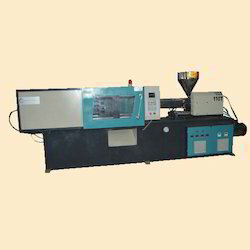 We manufacture a premium quality range of Industrial Injection Molding Machine. Our offered machinery is widely appreciated among our clients owing to its in-built highly precision mold adjustment. Moreover, this entire range is manufactured from top quality materials and available with us in various specifications as per clients’ specific requirements. Looking for Industrial Injection Molding Machine ?